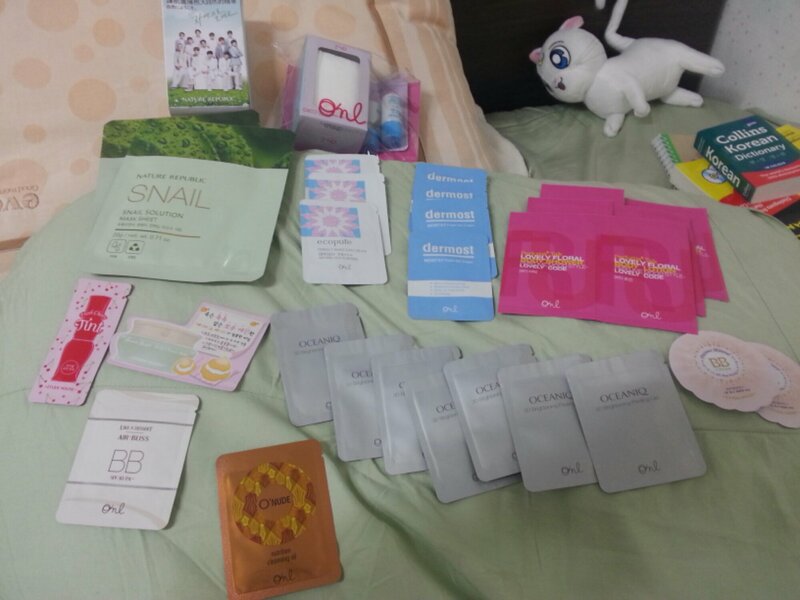 When you shop in Seoul, you get a LOT of free samples. BB creams, sun creams, face masks, moisturizer, toner, lip tint and cotton balls, if not more. I’ve never been into cosmetics before, but here it’s SO WONDERFUL! Behold! I think I’m turning into a girly girl for the first time in my life…and it’s SO much fun! What no ketchup or mayo samples ?!?!?!? Was Artemis one of the samples?! ?